All editorial is developed and directed by ParentMap’s journalists. For more, connect with us on online, and on Facebook and Twitter with #MakingItWork and #MakeItWorkMondays. When Beth* had her first two children, her employer’s paid family leave policy covered her family’s expenses while she took time off to recover and bond with her infants. Not having to worry about a gap in income meant she could focus on her maternity leave. But when she gave birth to her third child, Beth was working for a different company that did not offer a paid family leave policy. Still, she and her husband felt they could manage some debt in order to take unpaid time off. Then, Beth was diagnosed with cancer just days before her baby’s first birthday. During the following year of cancer treatments, the family’s expenses piled up, along with their debt, as Beth took more unpaid time away from work. Beth says that having a paid leave policy, either for maternity leave or to cover her cancer-related leave, would have better situated her and her family for her health crisis. “We’re still digging out of debt,” says Beth, who is now cancer-free. For many employees, starting a family impacts the trajectory of their career and their family’s economic story in ways both foreseen and unanticipated. The way that an employee eases (or staggers) into parenthood creates ripple effects that can be felt for years, even decades, by families, workplaces, entire industries and our society. Research shows that parents who receive paid leave from work to recover from childbirth and raise their babies reap long-term benefits: When new moms are afforded paid maternity leave, they have fewer health complications and are more likely to be working and earning more money one year after the birth of their child, which leads to better economic, academic and social outcomes for children later on. 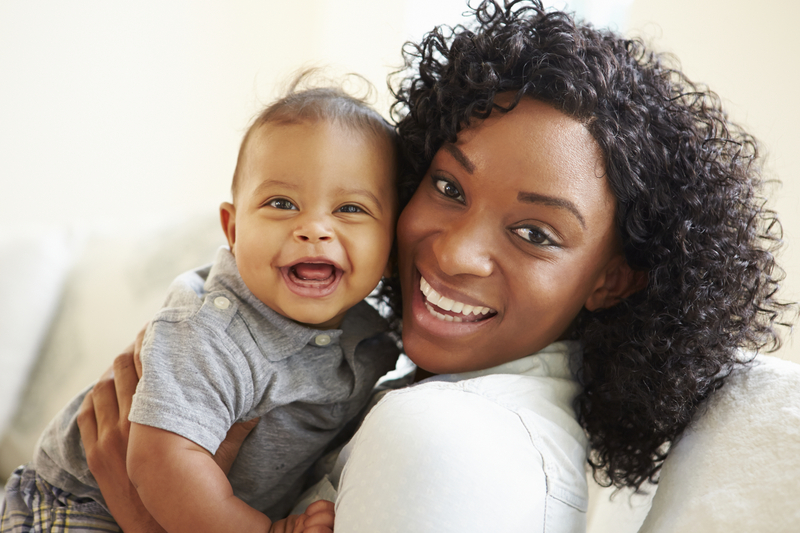 It’s also been found that babies receive better preventive care when moms are given paid leave. When fathers have access to paid leave, they are more likely to take leave and are more involved in the direct care of their children. Paid leave actually improves businesses’ bottom lines, reduces stress among employees and improves morale among the employees who take leave and their coworkers. Yet despite these known benefits, the United States is one of only two countries with no national paid maternity leave for mothers (96 countries also offer paid paternity leave). The federal Family and Medical Leave Act (FMLA) ensures unpaid family leave for eligible employees, but this guarantee is available to fewer than 50 percent of workers. And it’s unpaid. What does this mean on the ground? One-quarter of working mothers will have to return to work within two weeks of bringing a new child home. One-quarter of all poverty spells in our country stem from the act of having a baby. While efforts to establish a national paid parental leave law have so far failed, progress is happening in both the private sector and at the state legislative level. Hear this, Washington state parents: Our turn could be right around the corner. Advocates say this state is closer than ever to passing a program that would, quite literally, change the way workers from Seattle to Spokane, from Kirkland to Kennewick, become parents and navigate both family life and work life after that milestone. Like the handful of states that have led the charge launching paid family leave, Washington state is on the cusp of something big. So what does this possible change — a major upgrade to our lives that would affect attorneys, kindergarten teachers and grocery clerks alike — need to move from imagination to implementation? You. There are three ways a Washington state worker could receive paid family leave. The federal government could pass a national program; this possibility will be shaped by this fall’s presidential and national congressional election results. The Washington State Legislature could pass and fund a state paid family leave benefit, such as the current proposed insurance program. Or the worker’s employer could have its own paid leave benefit. As employers such as Microsoft, Amazon and Adobe have implemented model policies, pressure for a state program that reaches more employees has grown. It’s not advocates’ first time at this rodeo. The current Family and Medical Leave Insurance (FAMLI) Act failed to get a hearing on either floor of the state Legislature during the 2016 session. If passed, the law would provide up to 12 weeks of leave at two-thirds of an employee’s pay to care for a new child or a seriously ill family member, and 12 weeks for the worker’s own serious health condition. Since 1999, various proposals for a paid family leave law have come before legislators in Olympia. It seemed that momentum and awareness were building, and in 2007, a version of the bill was signed into law — but without the funding attached. Then, the Great Recession arrived in 2008. “The framework was passed, and then we hit the terrible budget years and we still haven’t recovered from that. In a way, we were standing on the ledge and we never could make it happen,” says Rep. June Robinson, D-Everett, House sponsor of the FAMLI Act. Advocates say now is the time to make our voter voices heard in Olympia. Four states already have paid family leave policies in place: California, New Jersey, Rhode Island and most recently New York. Hawaii has a workers’ disability insurance that covers pregnancy and childbirth. Other states, including Massachusetts and Connecticut, have paid family leave bills proposed now, and advocates in quite a few other states are looking at 2017 as the year to push new legislation. New York’s new program is the most comprehensive state family leave policy in the U.S., with 12 weeks of paid leave available to workers (Washington, D.C.’s tax plan, currently proposed, would offer 16 paid weeks if passed). Washington state has a proud history of innovation — from Boeing to Microsoft. We have an opportunity to lead again by passing one of the strongest paid family and medical leave bills in the country. A single-issue campaign organization focused solely on winning paid family medical leave for everyone in the U.S., PL+US, launched this February. “In 2017, we will focus on state legislation. In Washington, we want to help finish the paid family leave work that started in 2007,” says Katie Bethell, senior leader and organizer at PL+US. Washington, advocates say, still has time to be a national leader. “Washington state has a proud history of innovation — from Boeing to Microsoft. We have an opportunity to lead again by passing one of the strongest paid family and medical leave bills in the country,” Humphreys says. Humphreys likes to say that 2015 was the year that the question of paid family leave for all became not if, but when. That May, the City of Seattle began offering four weeks of paid parental leave (PPL). That August, Microsoft bumped up its PPL plan to 20 weeks for new mothers and 12 weeks for dads and non-birth parents in the U.S. That November, Amazon announced a new family leave policy that gave new fathers paid time off for the first time in the company’s history while boosting a birth mother’s PPL to 20 weeks. That December, the King County Council approved 12 weeks of PPL for county employees welcoming a new family member through birth, adoption or foster-to-adopt placement. Many business owners who offer PPL say that these policies are actually good for their bottom line. “When you invest in a person, they invest in you. No one wants to lose that relationship when it’s heathy and good,” says Sarah Bird, CEO of Moz, a Seattle-based software company that offers four months of PPL and six weeks of paid leave for any situation covered under the federal FMLA. “We have lower employee turnover, and a lot of that is because of how we take care of people here. I am spending less time recruiting people and backfilling roles,” Bird says. With businesses jumping on board with new programs and vocal support, and as we close in on the outcome and impact of this year’s national and state elections, the Washington Work and Family Coalition is finessing the current FAMLI Act before going back for a bid in the 2017 session. “In our current proposal, the average worker would pay less than $2 a week and be able to take up to 12 weeks of leave with two-thirds their usual pay. We’re looking at potential tweaks, but we have a good basic model. We want to look at what will make it usable for everyone. We really want fathers to take leave, too,” says Marilyn Watkins, policy director at the Economic Opportunity Institute and leader of Washington Work and Family Coalition. Even when men are offered leave, they don’t always take it. Studies show that men who take time away from work for family caregiving can face harassment, discrimination or mistreatment, according to the National Partnership for Women & Families. The benefit’s applicability to not only dads and moms but to any employee who needs to care for a family member (such as an aging parent) or themselves (say, during a serious illness) broadens the appeal and seeks to curb the common quibble between employees who are or want to become parents and those who don’t. While some business owners and employees may fret over a new insurance program with a payroll deduction, Watkins points out that the lack of paid family leave actually exacerbates inequalities. Sen. Karen Keiser, D-Kent, says she thinks of employees like the hotel workers cleaning rooms up and down the SeaTac strip. “There are hundreds of them, and not one of them has paid family leave insurance. It breaks my heart that the people who need it most are low-income employees working often in service jobs. Paid family leave clearly needs to be a minimum benefit for all employees,” says Keiser, the Senate sponsor of the FAMLI Act. Both Julie* and her husband were working full time at Domino’s Pizza when they were expecting their first child. “I was planning on working right up until the baby came and to go back to work a few weeks after giving birth, but early contractions [forced me to shorten] my shift lengths. Then when the store’s air conditioner was broken, I ended up calling my husband to come finish my shift for me as I cried on the floor of the walk-in refrigerator,” recalls Julie, who lives in Snohomish County. She had a C-section and was unable to go back to Domino’s until two months after giving birth. The worry and the frustration of physically not being able to do the work that represented her livelihood were overwhelming. “I wasn’t able to save up nearly as much money as I wanted. My husband [only] took five days off after I gave birth because we needed the money,” Julie says. Easing the financial strain of welcoming a new baby into a family is just one way that paid family leave policies create good starts for families. “All infants become attached to their caregivers. The big argument for family leave is that both parents need time with their child. Parents need to be there to offer care and comfort regularly,” says Susan Spieker, Ph.D., a professor of family and child nursing and director of the Barnard Center for Infant Mental Health and Development at the University of Washington. “The first six weeks are unpredictable, and infant crying peaks at six weeks. I worry more about the parents; babies in child care still become attached to their parents. Parents need this protected time for bonding, [for] getting to know their baby and working out their routines. I don’t want people without family leave to feel guilty about their baby. I believe in the resilience of the baby but it’s so stressful [to go back to work during this transition],” Spieker says. What it’s going to a take to pass paid family leave in Washington, advocates say, is a sense of urgency and pressure from citizens to turn a proposal into a fully funded Washington state law. Paid family leave is just around the corner, and it’s within reach. Legislators and voters are building support; businesses are moving forward along a parallel track; and the parenting culture has become less gendered than it has ever been. Are these the perfect conditions the state needs? “Literally thousands of bills get introduced every year. It’s really easy to just brush it aside, because it seems too big. But we already know how to pay for paid family leave in the U.S.A. We are not going to adopt Sweden’s model or even the Canadian model but we can certainly adopt the California model,” [which offers workers six weeks of partial pay for care of a newborn baby, foster or adopted child, seriously ill family member, or their own disability], Watkins says. But we, the parents, and all those who support strong families, a diverse workforce and a strong economy need to act. “The call for paid family leave rises from the people because we have the experiences of not having paid leave when we need it,” says Mosqueda. So, Washington parents: We need to agitate like the spin cycle on the biggest, baddest washing machine, one that can handle the busiest family’s dirtiest jumble of soccer socks, yoga pants and Monday-morning blouses. Between now and the next legislative session, we need to lather. We need to froth. If you are in the baby-making years, this issue hits home. If you’re past those years, think back to how paid leave would have impacted you, and how it can change the future of families across our state. Democracy is not a spectator sport, Rowe-Finkbeiner likes to say. Now, let’s go get our leave. Sign online petitions: Sign up for alerts from the Washington Work and Family Coalition. The longer that list grows, the more emails legislators receive. Pressure politicians: It's going to take a sense of urgency and pressure form citizens to turn a proposal into state law. 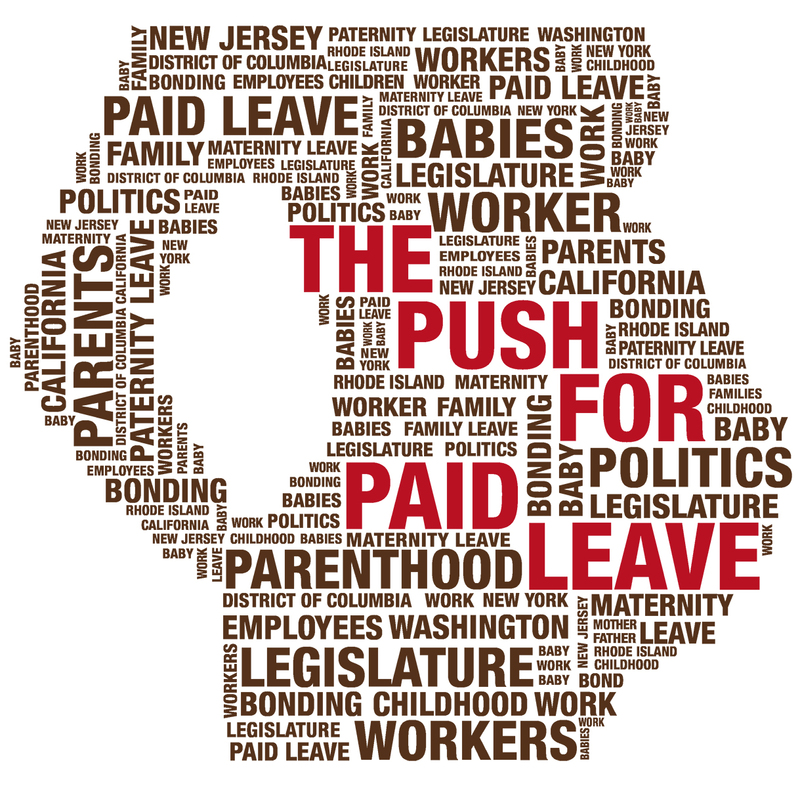 Ask your elected politicians and candidates, "Will you support paid leave?" Talk with family: Talk about paid family leave as a family issue instead of a women's issue, calling on men to stand up and speak about being active members of their families. Email or call: Take a couple of minutes to send an email to your candidate or a legislator about paid family leave (find all your elected representatives here). Talk at work: Discuss paid family and medical leave with your employer, even if you don't need it now. What would it take to get a policy in place? Form a research group within your workplace.